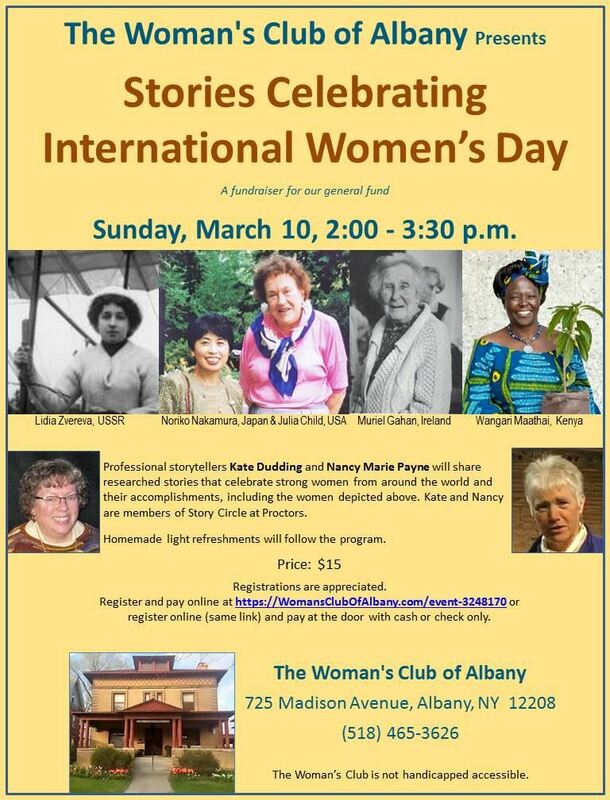 Professional storytellers Kate Duddling and Nancy Marie Payne will share researched stories that celebrate strong women from around the world and their accomplishments. Kate and Nancy are members of Story Circle at Proctors. Registrations are appreciated. Register and pay online or pay at the door.